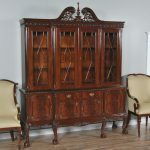 This is the Niagara Furniture version of a Chippendale Mahogany Breakfront. 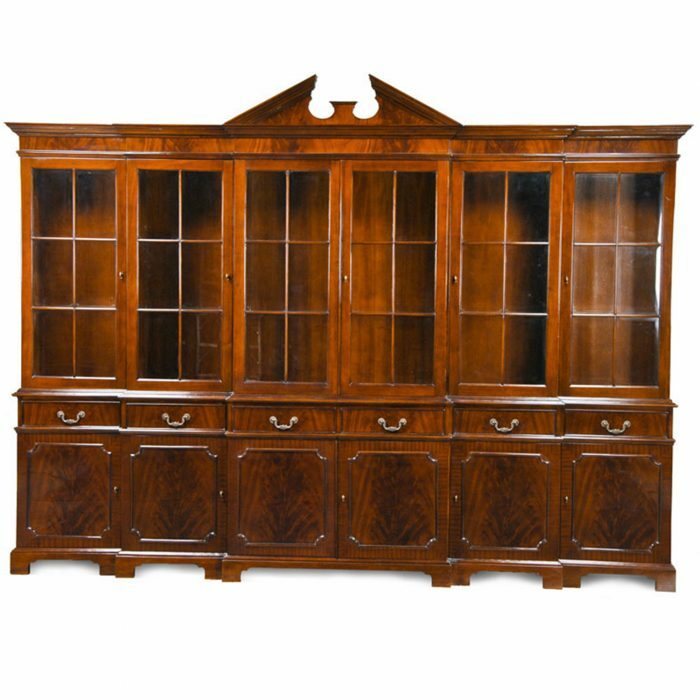 It is produced in two sections to make moving and installation of the sections easier. 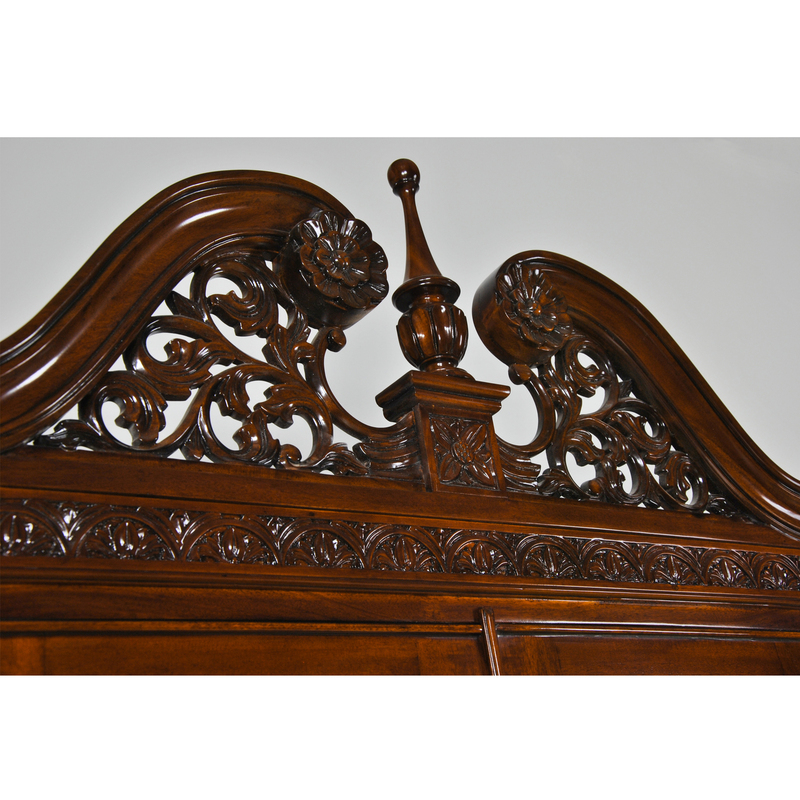 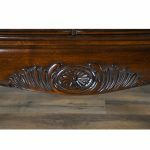 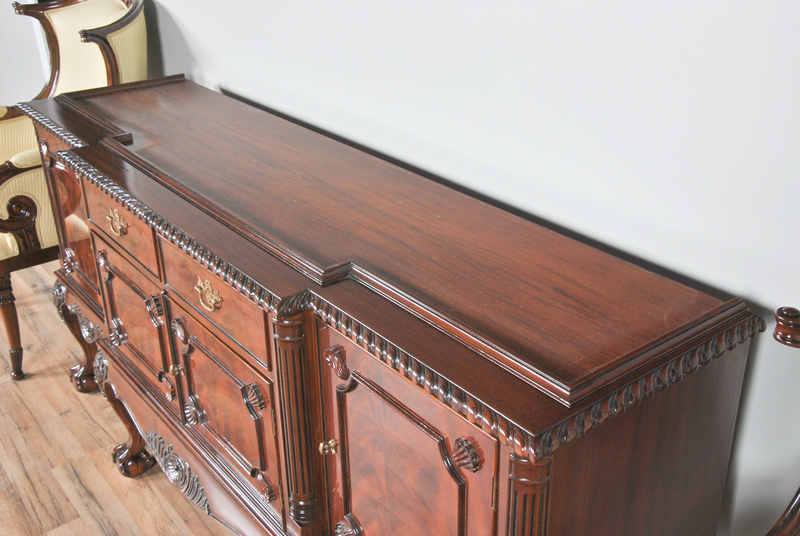 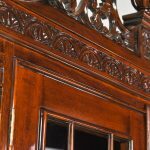 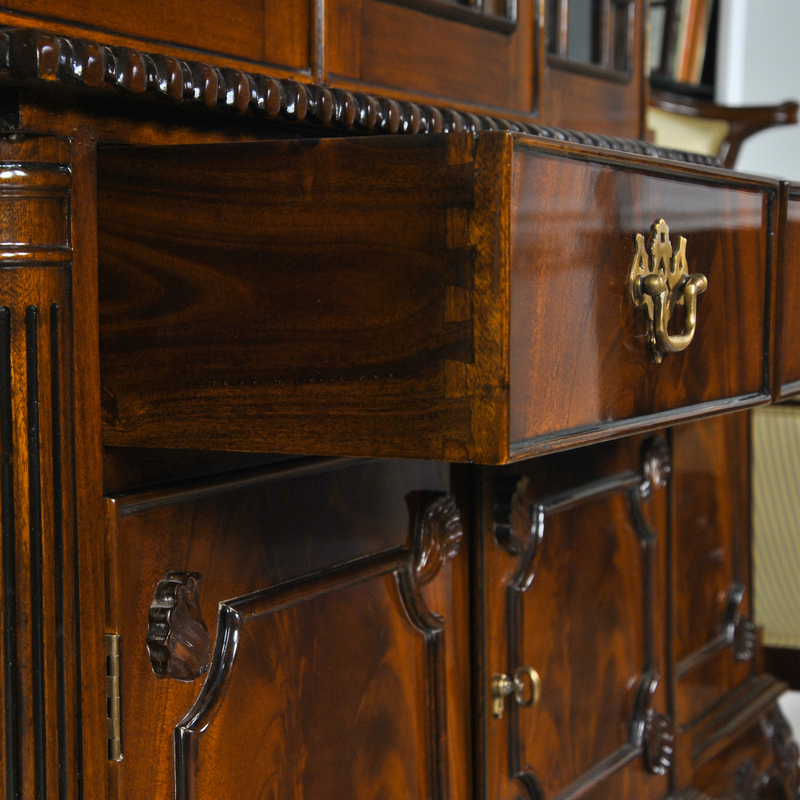 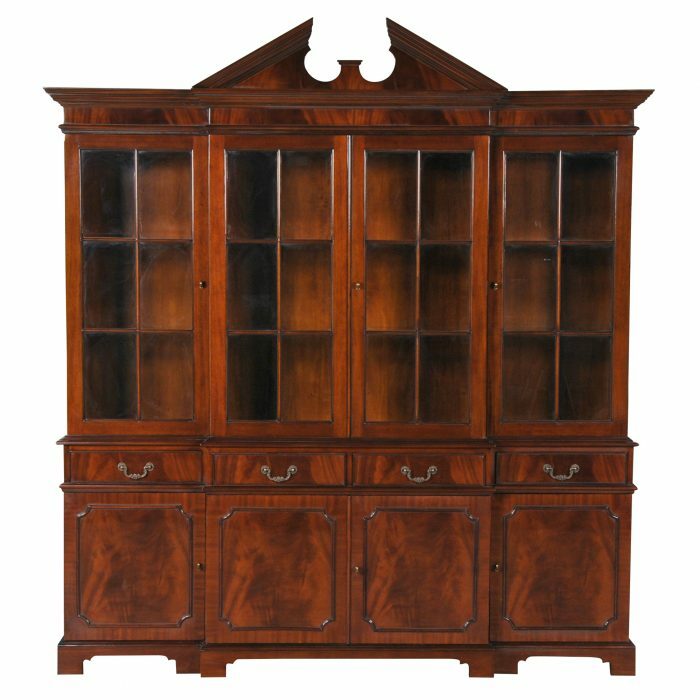 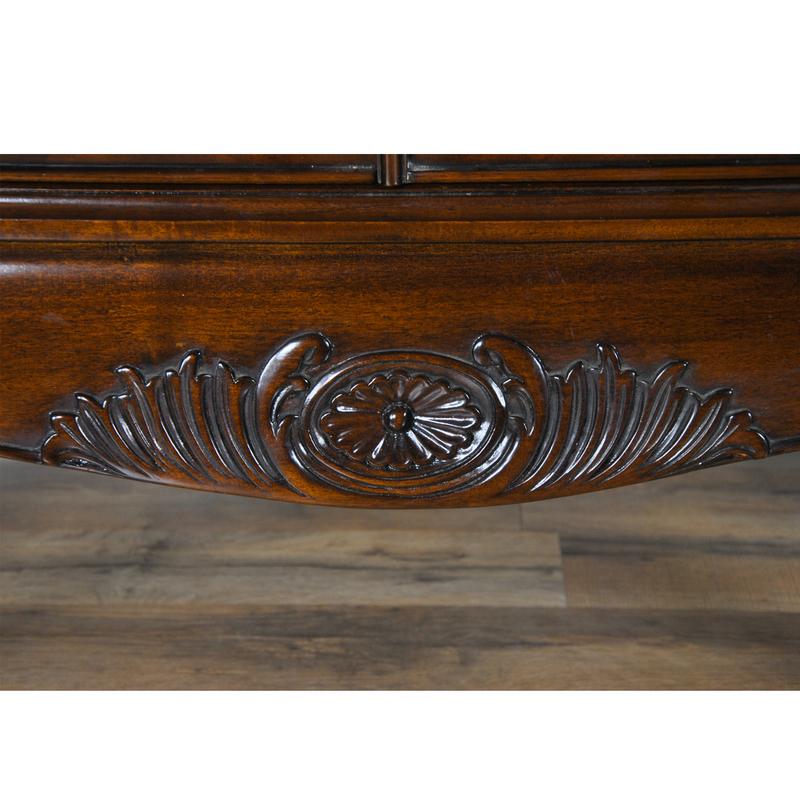 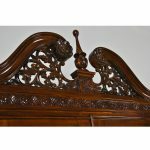 The top section of the Chippendale Mahogany Breakfront features a pierced carved crest with removable finial. 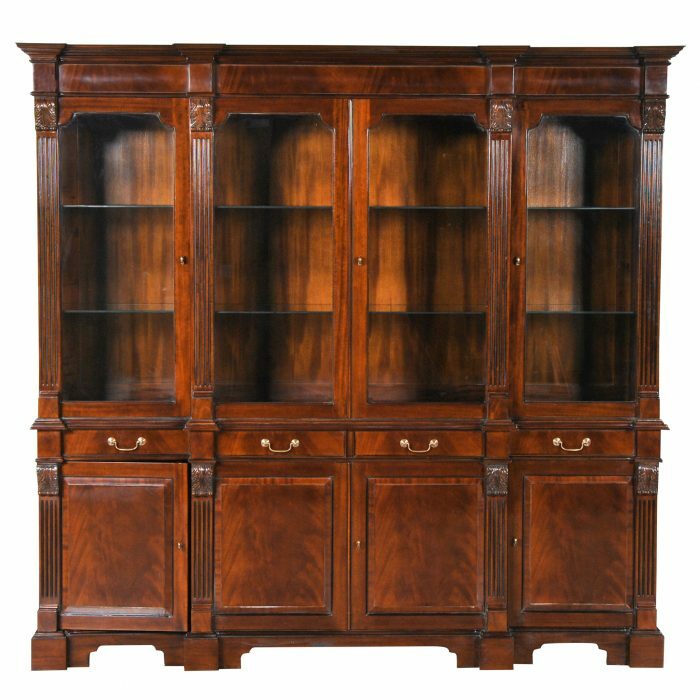 The four doors across the top section open to reveal glass shelves. 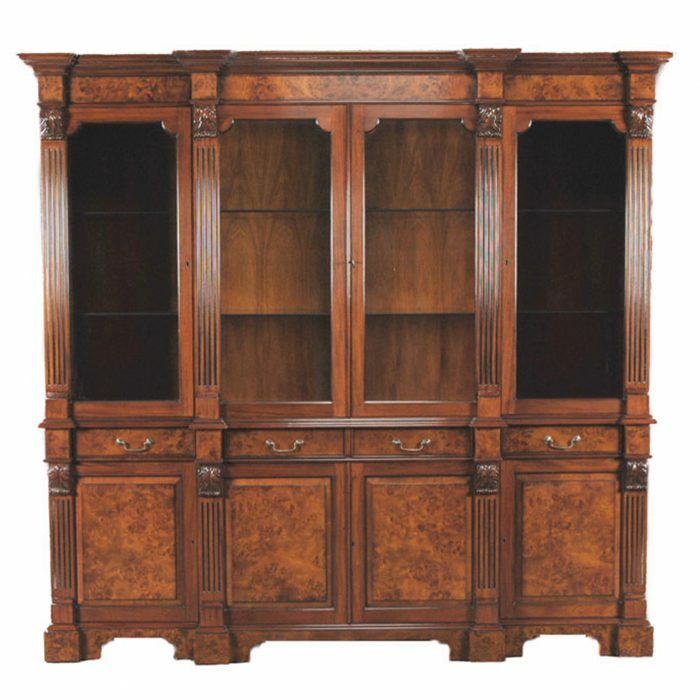 Interior lighting may be added, ask for details. 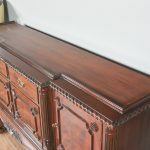 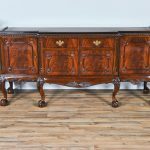 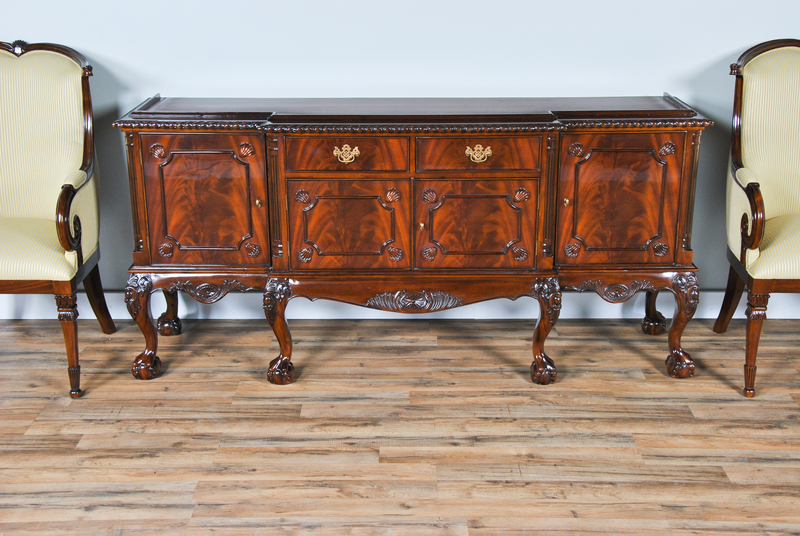 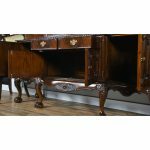 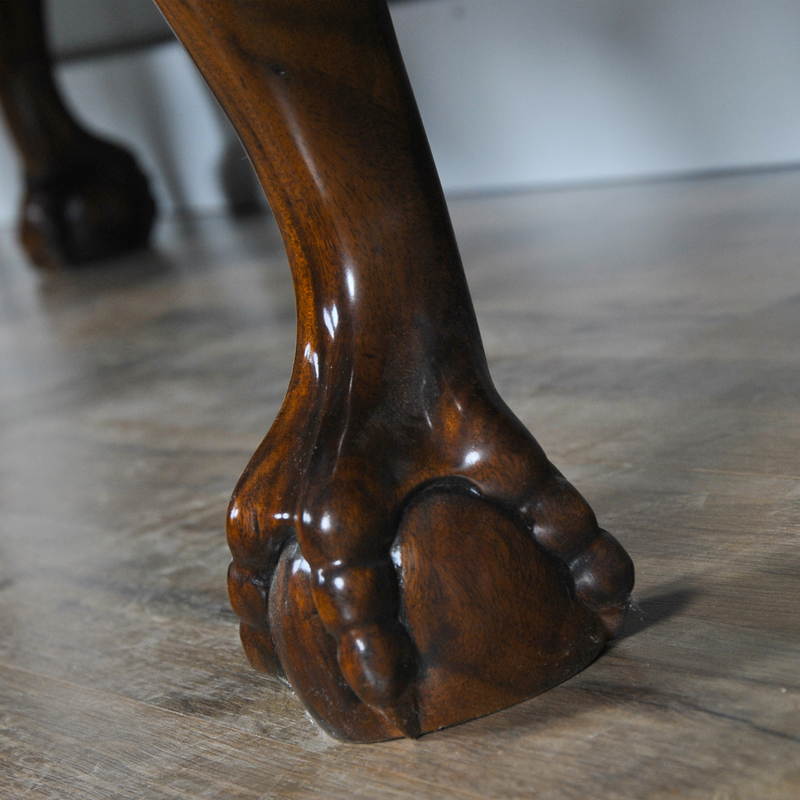 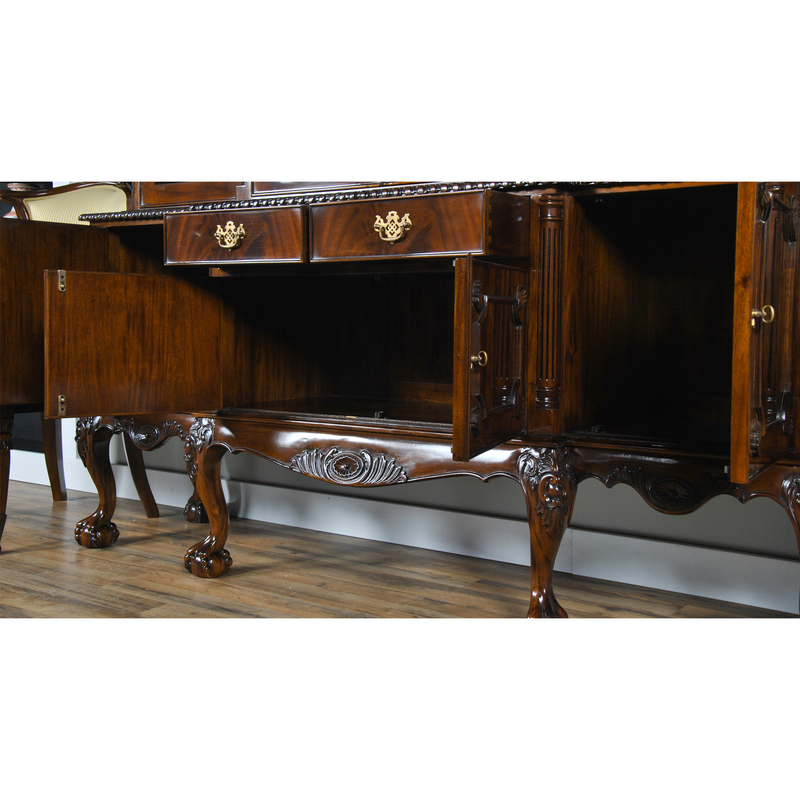 The bottom section features gadroon carving, two dovetailed drawers and four doors for additional storage, the entire cabinet resting on hand carved, solid mahogany cabriole ball and claw legs. 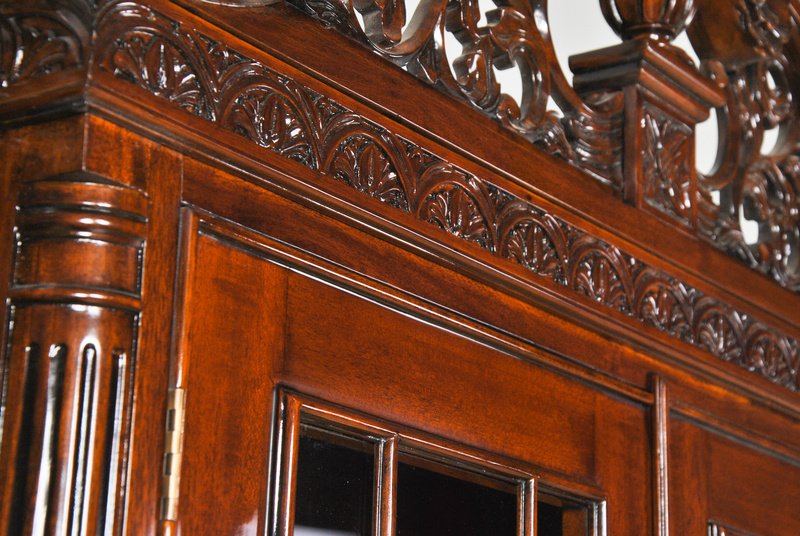 Meticulous craftsmanship abounds. 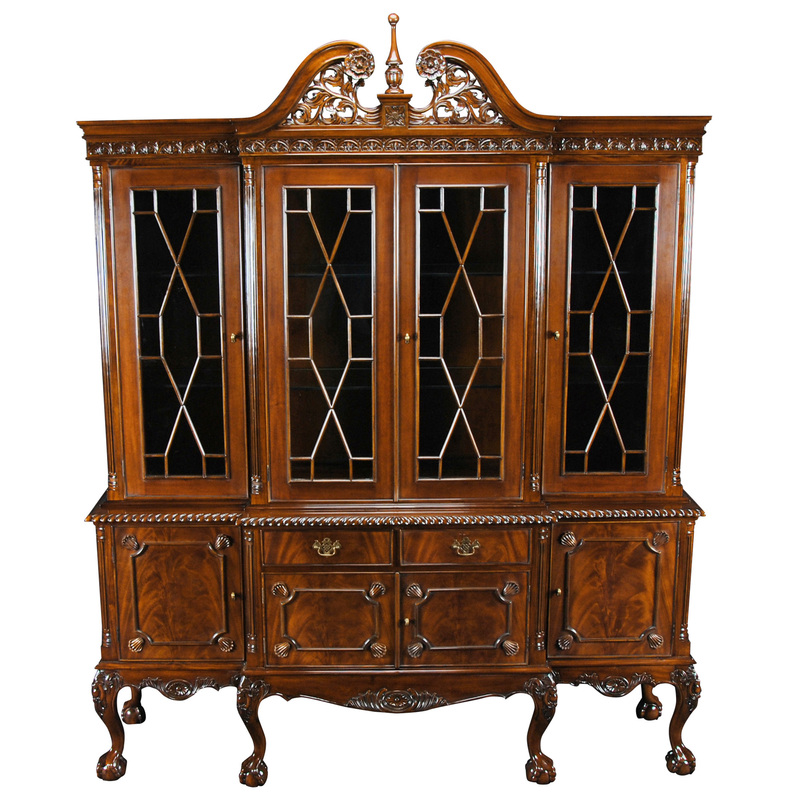 This cabinet compliments many of our Chippendale inspired dining chairs.